Draft: 1999, Texas Rangers, 3rd rd. July 8, 2010 Tampa Bay Rays released DH Hank Blalock. 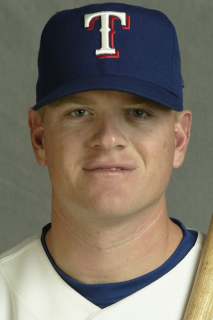 June 30, 2010 Tampa Bay Rays designated DH Hank Blalock for assignment. May 15, 2010 Tampa Bay Rays selected the contract of DH Hank Blalock from Durham Bulls. April 8, 2010 Hank Blalock assigned to Durham Bulls. March 12, 2010 Tampa Bay Rays signed free agent 1B Hank Blalock to a minor league contract and invited him to spring training. November 5, 2009 1B Hank Blalock elected free agency.